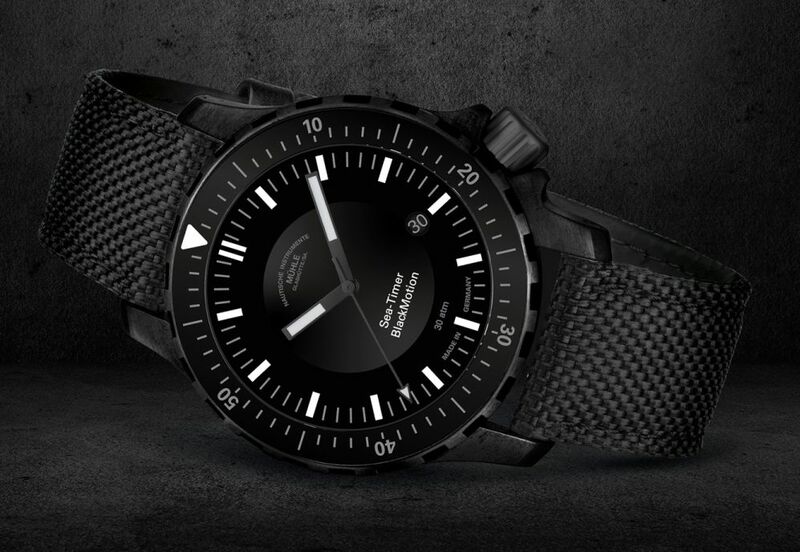 The case, in stainless steel with black titanium carbide (TiC) coating, measures 44mm x 12.5mm. 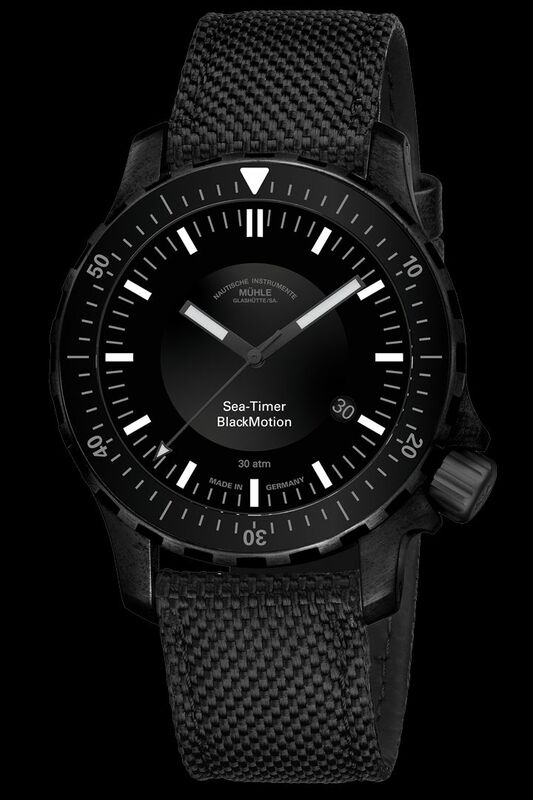 It has a domed AR-coated sapphire crystal, a display back, and it is water resistant to 300 meters. Movement is the Swiss automatic Sellita caliber SW 200-1 with 26 jewels, 28,800 vph and a power reserve of 38 hours. It features the Muhle patented woodpecker neck regulation, providing a precision of between 0 and a maximum of +8 seconds per day. It has a black dial with SuperLuminova hands and indices. It comes on a black textile strap with a black DLC-coated steel pin buckle.